While you can keep the veggies raw, I personally prefer them cooked. Here, I just did a quick saute of julienned veggies with ginger for some added flavor (and anti-inflammatory benefits). 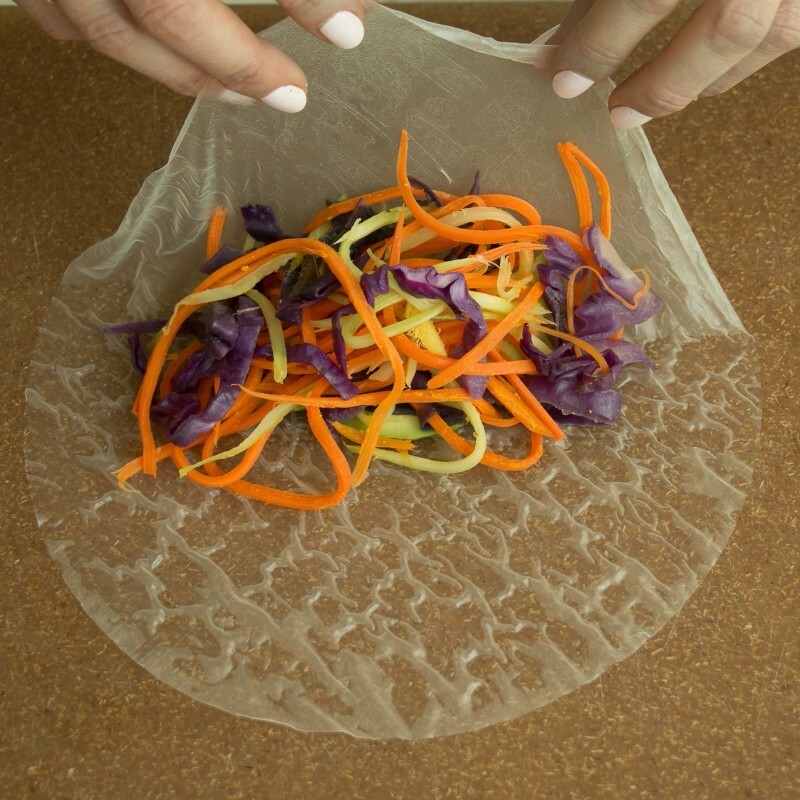 The star ingredient in my book, is the chewy, translucent spring roll wrapper, also known as rice paper. You can typically find these in the Asian section of your grocery store. 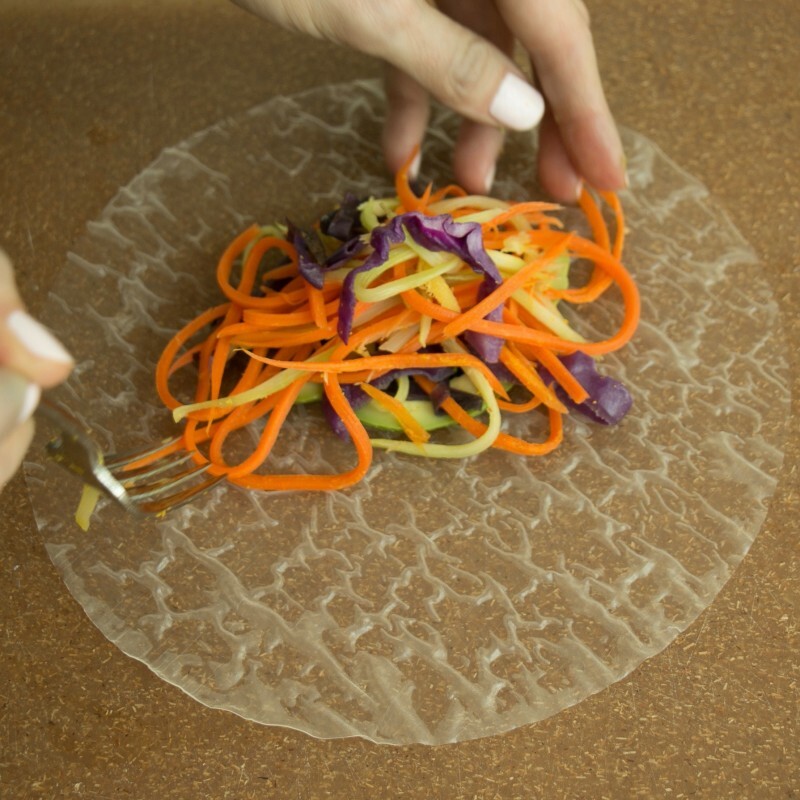 Tapioca flour-based spring roll wrappers are great, too. 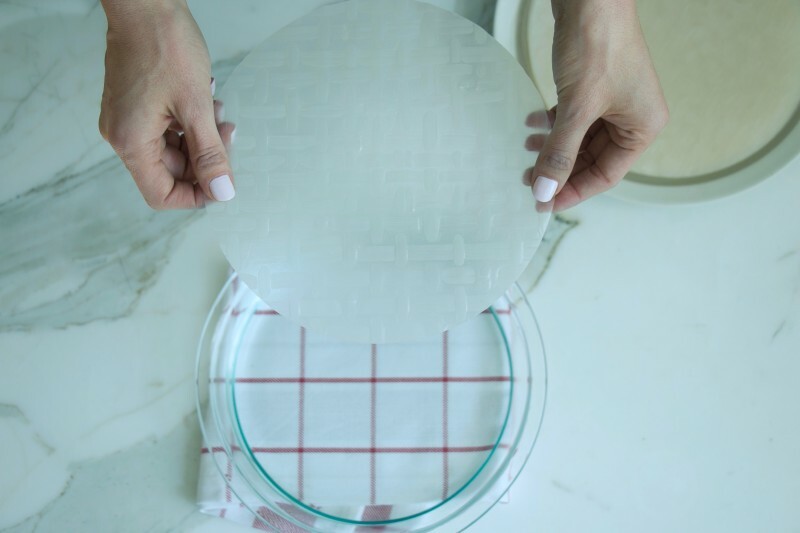 They are fun to work with, although there is a little bit of a learning curve getting used to them, which is why I show you step-by-step how to do it below. 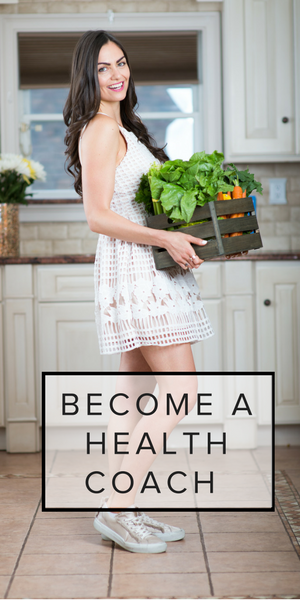 Personally, I tend to overstuff mine (you know I can never get enough veggies! ), but for a tight-restaurant-style roll, its best to not overstuff them. 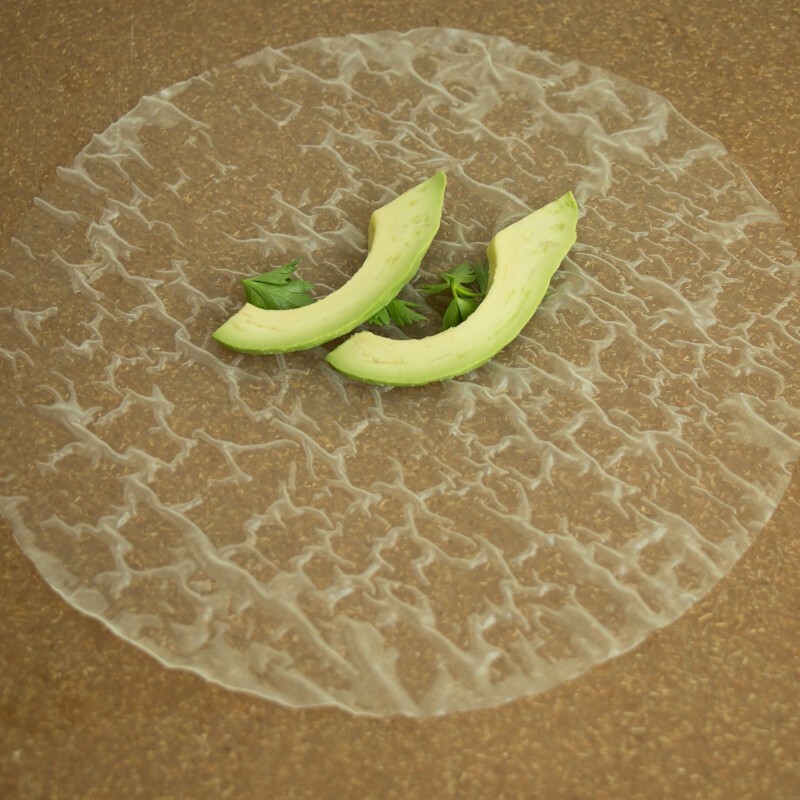 You can find brown rice paper wrappers easily on Vitacost, for just a few bucks. 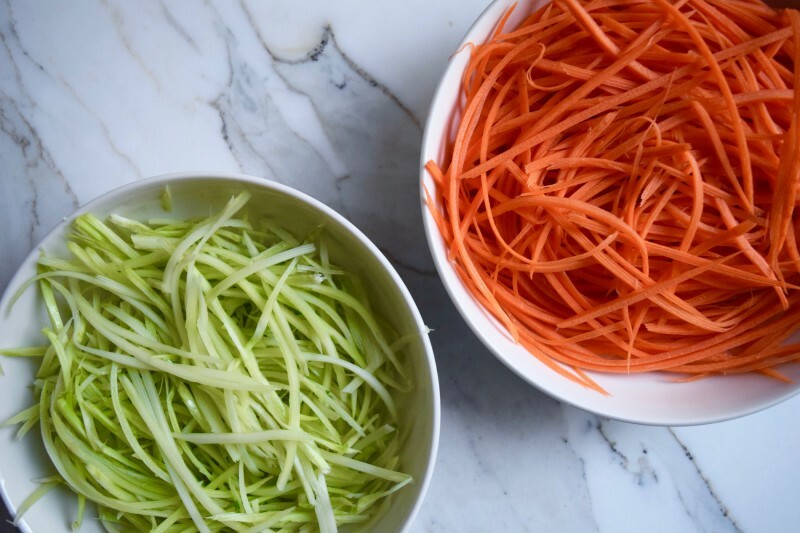 As mentioned above, I love a good julienne peeler – it just makes prepping veggies so much easier, and also helps them cook faster. 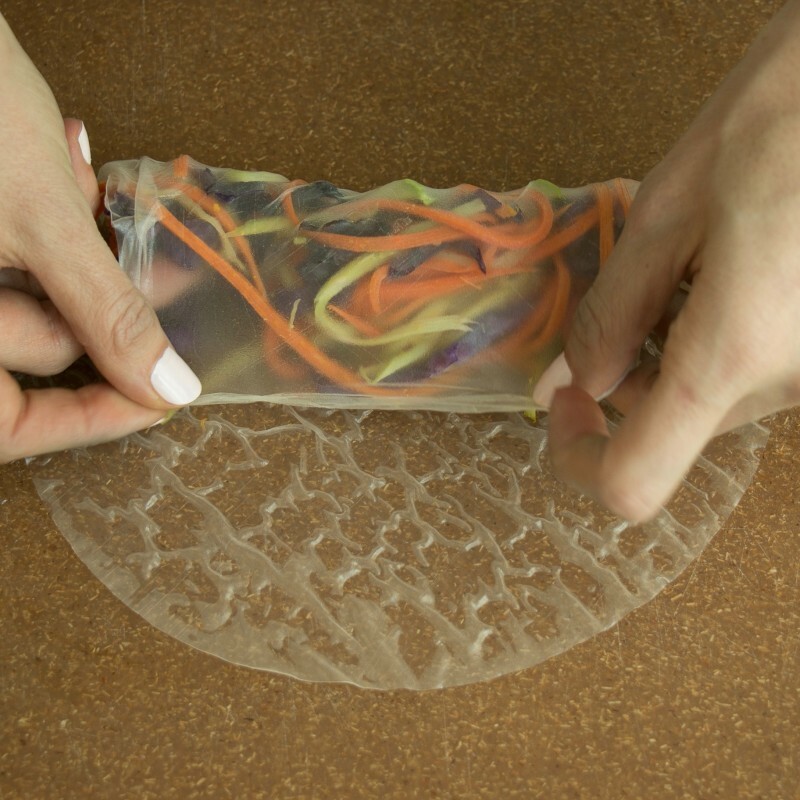 It’s a great, low cost alternative to a spiralizer, too. 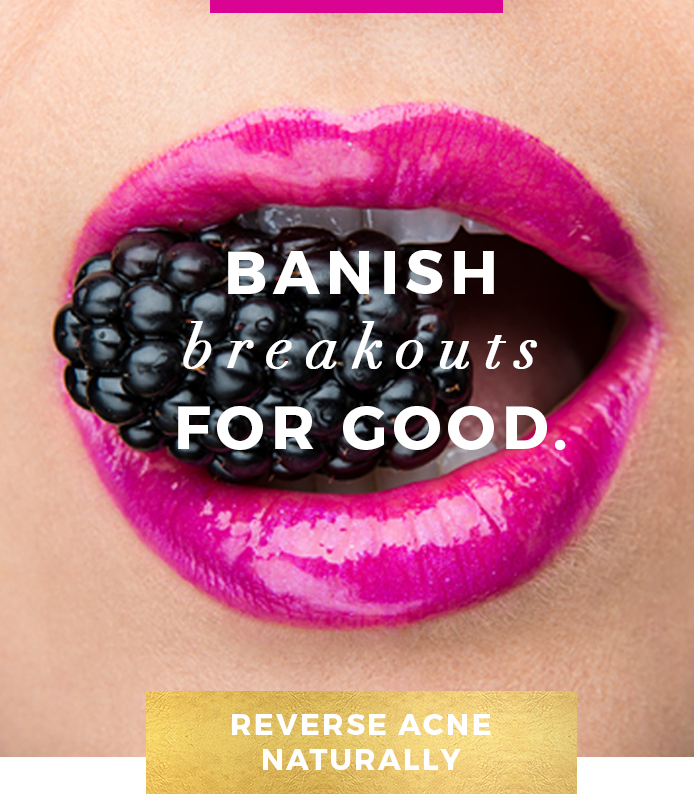 Step 2: Keep it in water for about 3 seconds, until it just starts to become soft. 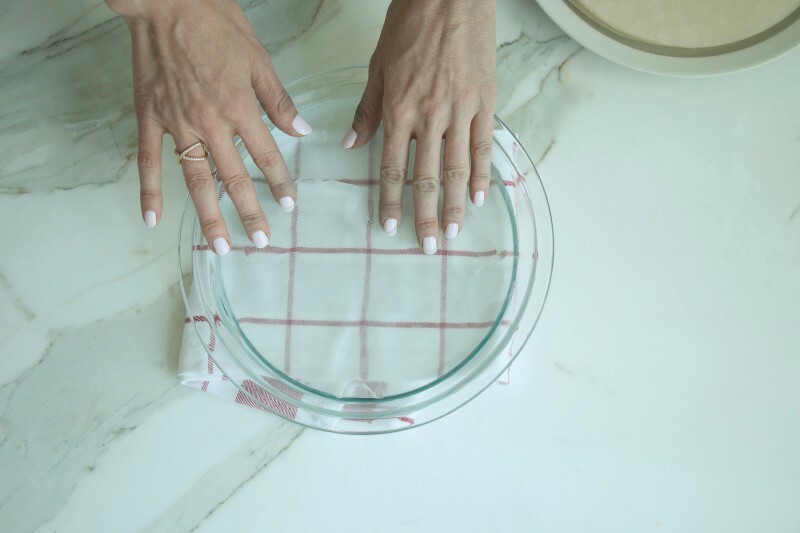 Step 3: Place it on a cutting board or other clean surface. 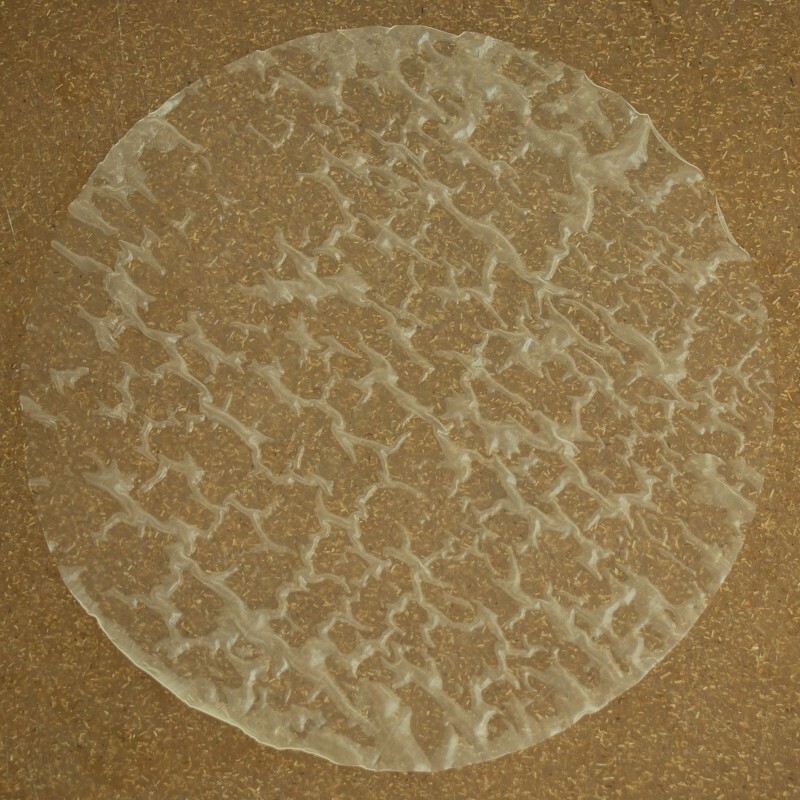 It will continue to soften up and become more pliable. 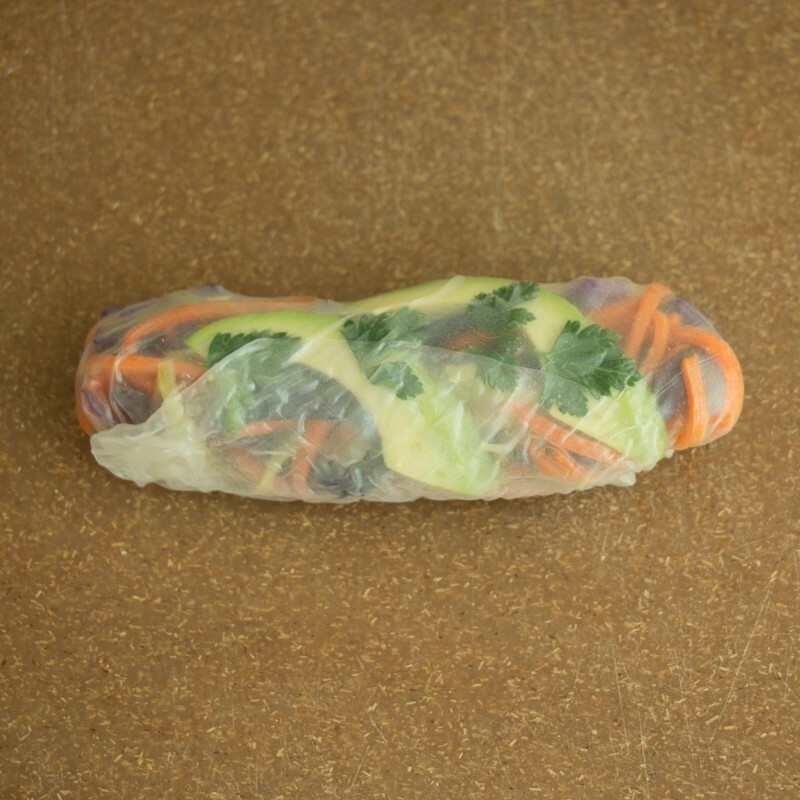 Step 4: Add your veggie filling ingredients in the center of the rice paper. 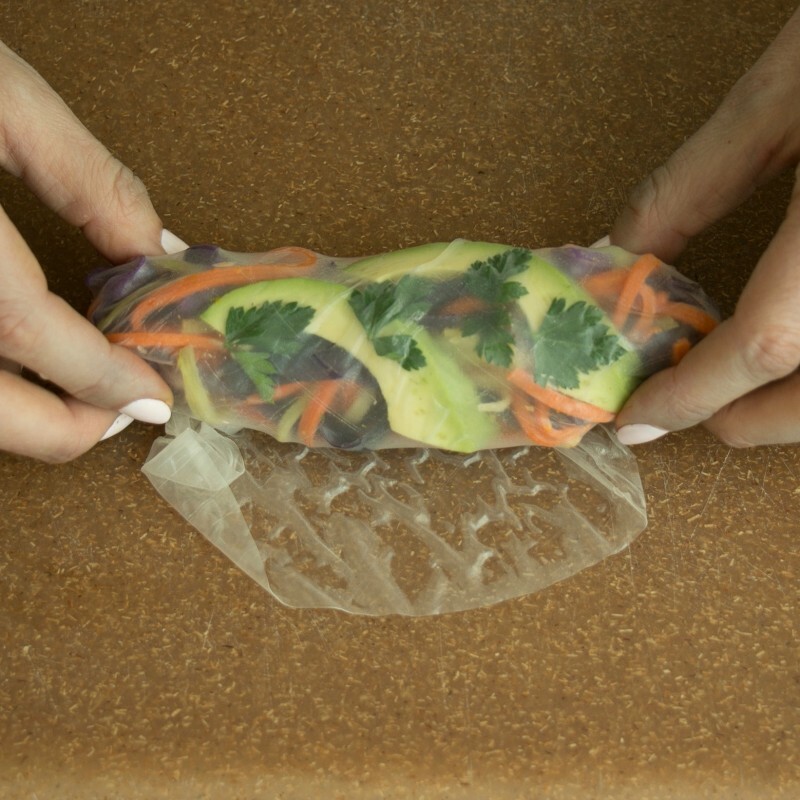 Step 5: Roll one edge of the rice paper over the veggie filling and press down to create a light seal. Step 6: Next, fold in the two sides, then tuck them under and continue rolling. And voila! How simple was that? 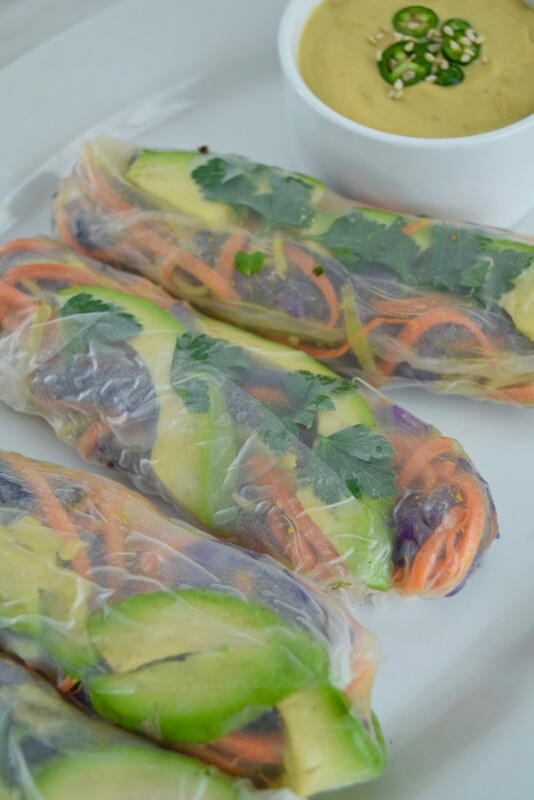 Veggie Spring Rolls are are great for a fuss-free meal. 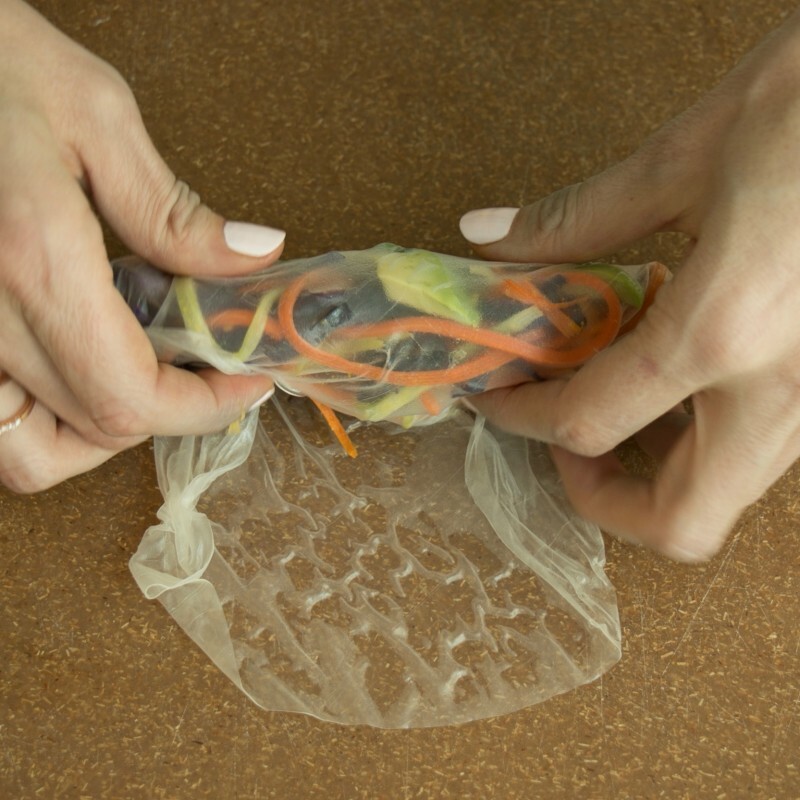 They’re also a fun way to make leftovers more exciting – simply wrap up last night’s dinner in rice paper, and you’e got an easy fork-free lunch. 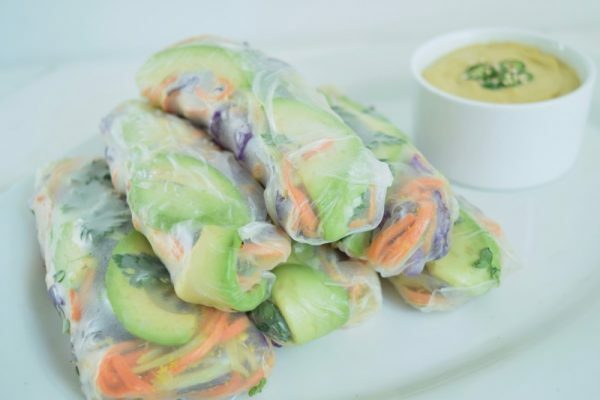 A quick and easy veggie spring roll recipe. First, make the gingered carrots and broccoli. 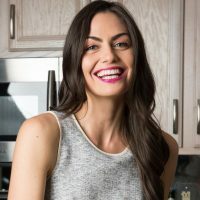 Heat a large pan over medium heat, add just enough oil to cover the bottom of the pan, add 2 tablespoons of ginger, 2 cloves of garlic, and let cook for 1 minute before adding the carrots and broccoli stems. 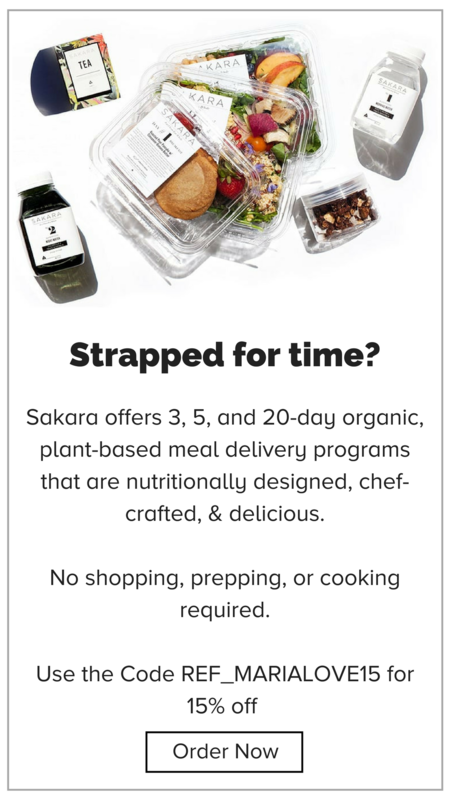 Cook for 7 minutes, then set aside.